So, Pantone had declared emerald green as the color of the year for 2013. I love that color and am actually planning on doing our master bedroom in the jewel tone. 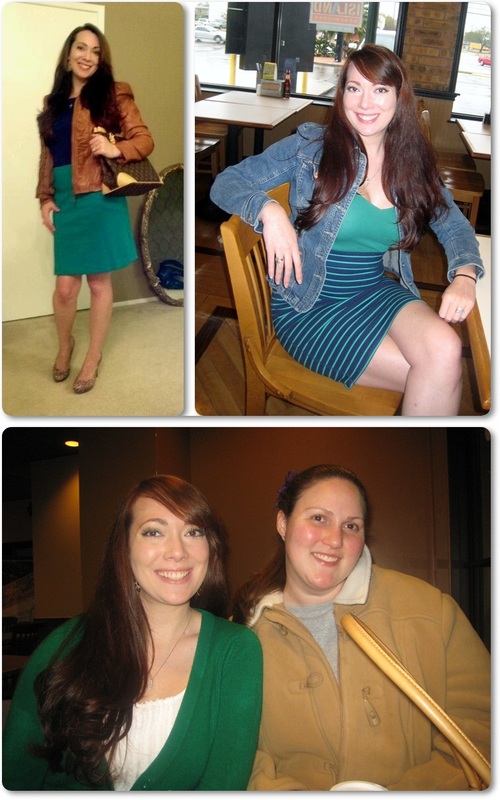 However, I'll say that good ol Patone is about a year late because I was diggin' this color last year! Check it out! I've known for a while that I wanted emerald in our master bedroom. This is just reminding me that I haven't even started in there! Maybe Pantone has given me the motivation that I need to kick things into gear! 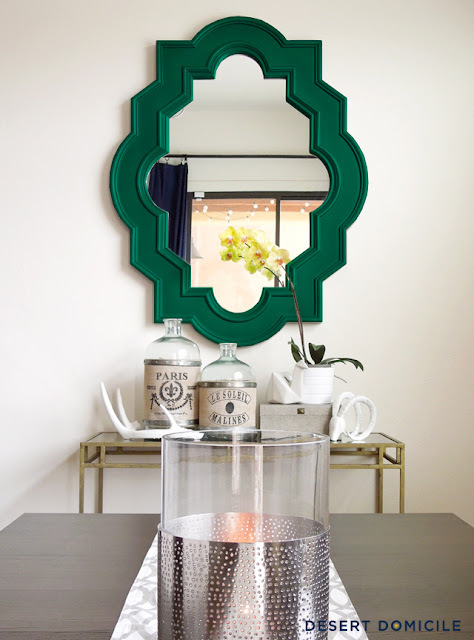 Emerald green isn't just for decorating! I've been known to rock some emerald myself. In fact, recently it's been my favorite color to wear! Emerald and navy blue are sooo crazy cute together! 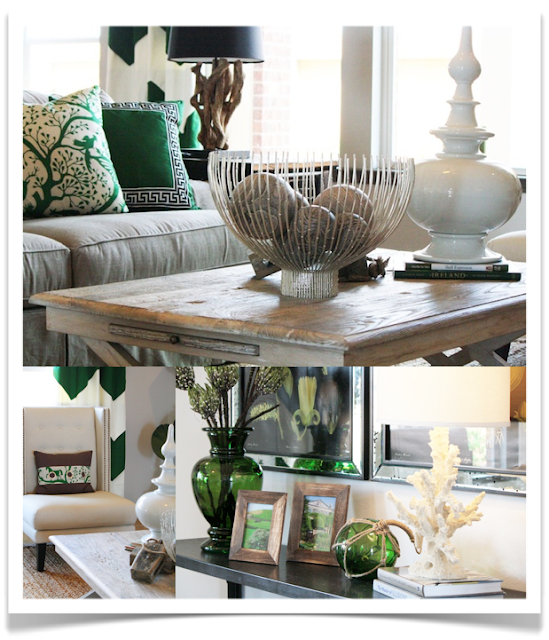 LOVE me some emerald green! God help my husband! haha. AND it's my birthstone! So, do y'all see any emerald green in your home's future? Hi, I enjoyed reading your blog. 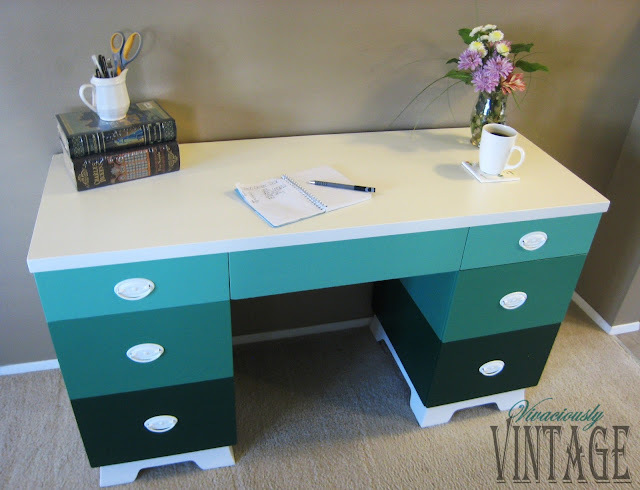 I love how this ombre desk turned out. Very pretty. Hi Ansly, I featured you here.